If you have kids, you know that they can get themselves into a lot of interesting accidents. Many times when kids get a head injury they knock out a tooth. Other times, they simply hit the tooth really hard and injure it. It has been estimated that 8-30% of kids under 7 suffer an accident that injures one of their baby front teeth. Any time a tooth suffers an injury, there is a possibility that it may turn a different color. If you’re wondering what it means if your child’s tooth has turned pink, red, gray, black, brown, or yellow, then you’re the reason I wrote this article! Tip – I will use words like pulp, dentin, and enamel in this article. If you don’t know what those mean, you might want to brush up on The Anatomy of a Tooth. Basically, the author is stating that even if a tooth has a dark color, it may still be able to return to health. Some experts have said that the darker the discoloration, the more likely it is that the nerve of the tooth has died. For example, this study “found that 33 of 51 traumatized teeth with gray-black discoloration were necrotic.” However, other experts state that the shade of darkness doesn’t reflect the health of the pulp. If your child’s tooth has turned dark, the best thing to do is to have your child’s dentist look at it. If there are other signs that the tooth is dead such as swelling or an infection that shows up on the x-ray, then your child’s dentist will probably choose to do something about it such as performing a root canal treatment or removing the tooth. If there is no sign of infection in a dark tooth, the dentist may choose to not do anything and let the tooth eventually fall out on its own when the permanent tooth is ready to take on its role in the mouth. A study by Sonis showed that 72% of darkened teeth fell out normally without any bad effects on the permanent tooth. If a tooth is going to turn red after an injury it can turn red shortly after the injury, or it can wait anywhere from a few weeks to months before it begins to turn a pinkish red color. If a tooth turns red shortly after being traumatized, it usually means that the blood vessels inside the pulp broke. When the blood vessels rupture, blood leaks inside the whole pulp area of the tooth resulting in a reddish pink color. This condition is known as pulpal hyperemia. Sometimes pulpal hyperemia is difficult to detect. You may have to shine a light on your child’s tooth and look at the tongue side of the tooth with a mirror to detect this color change. The pink/red color may take a long time to go away or it may never go away and the tooth may start to darken to a shade of gray. 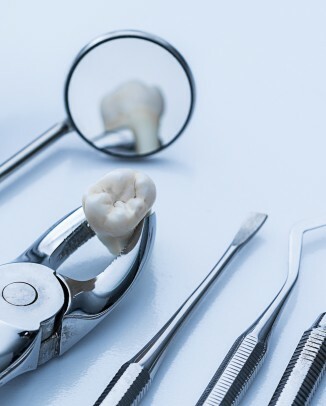 As a result of trauma, sometimes cells inside the tooth start eating away at the hard layers of the tooth through a process called internal resorption. These cells are called odontoclasts and in certain cases they can eat away to the outside of the tooth within a few short weeks. The tooth looks pink because as the pulp layer of the tooth gets bigger, its red color more easily shines through the thin layer of remaining tooth structure. A man named James Howard Mummery first noticed this “pink spot” that appears on teeth, which is why it is typically referred to as pink tooth of Mummery. Pink tooth of Mummery can start occurring anywhere from a few weeks to months after a tooth is injured. These teeth are usually kept until the crown of the tooth is dissolved. Then the tooth root can either be removed or it can be left to get dissolved spontaneously as the permanent tooth comes into your child’s mouth. The increase in the amount of dentin and the concurrent decrease in the amount of pulp gives the tooth a yellow, opaque color. Basically, if your child’s baby tooth has changed color, often the best treatment is no treatment. As long as an infection doesn’t develop, simply waiting it out and seeing what happens could mean that your child doesn’t have to go through unnecessary dental treatment. And that’s a good thing, especially after they’ve already been through a traumatic tooth injury. Do you have any stories, questions, or comments about tooth discoloration? Do you still have a question that I didn’t answer? Feel free to write your thoughts in the comments section below so that we can all learn from each other – Thanks for reading! You can read all about her daughter’s experience on this thorough blog post that she wrote about the entire experience. Its not white completely but is a lot better than what it was… The left side of the photo is around 3-4 weeks after the trauma.. and the right side of the picture was taken a few days ago, around 8 weeks after the trauma, It has also moved back into alignment a bit more as well, as it was knocked back with a blunt blow. If you have a photo of your child who had an injury that caused a tooth to discolor, please send them to me using this form and I can post them here to help others who are going through this same experience. According to the study mentioned in your article, “72% of darkened teeth fell out normally without any bad effects on the permanent tooth.” What does it mean if the permanent tooth comes in discolored? My son had a gray tooth as a result of an accident when he was three. He is 8 now, and his permanent tooth is coming in gray. Hi Miriam – Thanks for your comment – you bring up a good point that I neglected to mention in the article. If children are young when they damage a baby tooth, it can damage the permanent tooth. I talk about this in a previous article about what to do when your child’s baby tooth falls out. Since your son was three, his enamel was still forming on the permanent tooth. The accident most likely disrupted the formation of the enamel and caused a defect known as Turner’s Tooth. This Wikipedia article has some good information on that condition. Usually the tooth appears to be chalky white, yellow or brown. I haven’t heard of it being gray, but I wouldn’t rule it out. It’s a possibility that something more happened to the tooth and the nerve died. In any case, it’s best to take your son in for a check-up to see if there is any infection around the tooth or if it appears to be alive and healthy. I hope that helps, Miriam. Let me know if you have any other questions. Thanks for your comment! Thank you for this article and your response to Miriam’s comment. My son who is 7 had two teeth trauma accidents when he was younger. The first was his two front bottom teeth at age 1.5 yrs and the second involved his front top 4 and bottom 2 teeth at age 3. When he was 6 and his teeth began changing, 4 of his permanent teeth came in discolored. The two bottom teeth, I could see the vein redish-orange and fade to large brown/yellow spot,s which are still very prominent. His two front top teeth also came in with brown discoloration. I asked our family doctor and told him I thought it was from the trauma but he did not agree. After reading your article, I now know that I am correct as we are very diligent about oral hygiene and that they aren’t cavities. They do not create any pain or discomfort for my son but I have noticed that it appears the bottoms teeth are losing enamel or wearing at the base of his gums. What is the treatment for these teeth issues? He is so young and we do not have any health or dental insurance as a large family with a small business. Also, I prefer holistic treatment as much as possible. What options do we have? Thank you so much. 1 – As long as the discolored area/pits are solid and not soft (no decay), you can leave them as is and use fluoride toothpaste and a fluoride mouth wash, making sure that he brushes them very carefully since the likely pitting can make it more likely to become decayed. 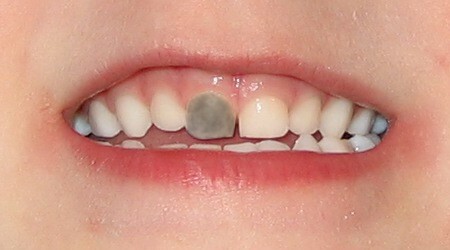 2 – You could have tooth-colored filling material placed over the spots. 3 – Some dentists may recommend veneers or crowns at some point when he’s older, but I believe it’s usually wise to hold off on this as long as you can, especially if the discoloration doesn’t bother him. As far as the wearing at the base of the gums, it could be part of the roots of his teeth showing. Does have have any gum recession there, or a prominent frenum? Thank you for your response and just to confirm, yes, the teeth came in discolored. There isn’t any gum recession for the bottom two teeth or a prominent frenum.The teeth seem to be rougher in texture, not smooth, and slightly indented/weathered near the gums. The color is just beginning to bother him as kids are teasing him about having “cavities” and he has been modeling until his permanent teeth came in when I think the color of his teeth have factored into him landing jobs or not. I will surely look at the tooth colored filling material as the first option. Does it have a specific name? Again, thank you for your response. This has been very helpful! Hi Cara – I’m guessing that the discoloration is part of the damage done to the permanent teeth when he had the accident. Without seeing him in person, it’s hard to say for sure though. The tooth-colored material is called composite resin, or commonly referred to as “bonding”. Have you heard of fluorosis? Too much fluoride during the time the adult teeth were developing could also cause brown staining that looks like cavities. Or it could also be due to the trauma of the primary teeth. The primary tooth could have had an infection that discolored the permanent teeth developing right below/above it. Hi tom,my child never had an accident most of his teeth have black stains inside and outside dentist removed the stains and polished them.2 months later they are getting stains again.even the permanent teeth are becoming black.he does not consume lots of sweet stuff,nor cold drinks.what do u suggest? Thanks for the helpful article. My 3 year old son bumped his tooth somehow falling off a bed about 2 years ago (aged about 1). The tooth seemed to be pushed back into his gum, so much so that we thought it had been cleanly chipped in half. About a day or two later however it had returned to normal somehow and we all breathed a sigh of relief. Now, 2 years later, it has started turning grey. What do you think might have caused such a delay? Should I be looking for another cause for the discolouration? I have an appointment with the dentist in a few weeks time ( the closest available sadly). Should I push for a sooner appointment if I can? Emergency? Great info as always. I have never encountered all these possibilities, but they are really helpful to know as a parent. Hi Pamela – Thanks for your comment – At least now you’ll know what it means if you ever see a discolored or dark tooth in the future 🙂 Have a great day! 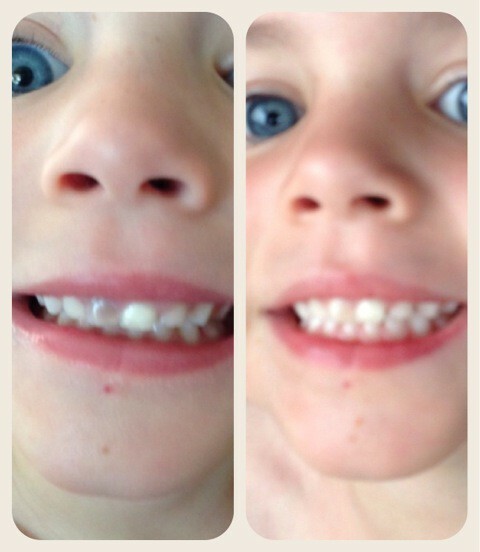 My 5 year old son’s top front tooth is slightly discolored( grayish) from last 2 weeks or so. It may be 2-3 months back that he bumped his mouth on the floor..this is the only accident happened to his mouth. Took him to pediatric dentist today as after x-ray he was showing me a line on the tooth ( which I was not able to see). Bottom line is that he is suggesting to do a baby root canal as the vein inside is damaged. I am concern about it as the tooth is very slightly gray and he is not complaining of any pain or swelling…I do not want my son to go through this procedure if time can heal it. Another concern is ,if Ido not go through root canal..is any any chance that his permanent tooth will aslo be discolored or infected…appreciate your respose. Hi Seema – It sounds like your son’s dentist believes that the tooth is dead. Sometimes, these teeth can return to health, and sometimes they don’t. You can read the section above about gray teeth to see some of the studies that I cited about your son’s situation. If you don’t go through with the root canal, an infection could develop which could cause damage to the permanent tooth. However, this study did show that 72% of gray teeth that are untreated simply fall out without any problems. It’s also important to mention that having a root canal done on a baby tooth can damage the permanent tooth as well, although this rarely occurs. It sounds like you do have some doubts, so you might think about getting a second opinion. I hope that helps! Let me know if you have any other questions. How did everything work out with your sons tooth? I am going through the same thing right now. My 5 year old son bumped hit front tooth a few years ago, and it turned gray after a couple of weeks. It’s been gray for a few years now, but this morning his lip is slightly puffy and his gums above the dead tooth are a darker red and he said it hurts. I really don’t want to have to put him through the root canal if I don’t have to. Please let me know what happened with your little boy. Thank you! Hi, I took my son to his dentist after the x-ray they said that his tooth was dead and will stay gray. They said the good news was there was no damage to the permanent tooth and that as long as he doesn’t develop any pain or infection they will leave the tooth alone and let it fall out when it’s ready. The told me to watch out for signs of an abcess which included swollen, dark gums and pain. It sounds like maybe he has an abcess or infection starting. Hopefully they can treat it with antibiotics and avoid the root canal or extraction. Good luck and I hope he feels better soon! My nearly 5-year-old daughter did a face plant in the driveway about three weeks ago and this last week, her tooth has become increasingly purple. But otherwise, it looks fine (no swelling, etc.) … this article was a huge comfort to me – sounds like we need to take the wait and see approach! Thanks for the comprehensive info. Hi Rebecca – I hope your daughter is recovering well! It’s always a good idea to get it looked at by a dentist as well. When the teeth do turn dark, there’s a good chance that the pulp could have died. Thanks for your comment! My three year old son and I had a terrible spill on the pavement when going downhill with the stroller today. The wheel turned and locked up and my son ended up face down on the road. After checking him over, icing his swollen lips and comforting him I found that one of his front teeth has what looks like a bruise on the gum line above it and was bleeding at the time of the accident. The tooth is not chipped or discolored at all. He hasn’t expressed any pain in his tooth and even wanted to eat supper shortly afterward. I’ve been really worried about it all day and am wondering if you’ve encountered similar stories of the gum being broken/bruised and whether it is likely that his tooth is damaged. Hi Amanda – I hope your son is doing alright! What happens sometimes with injuries to the teeth is that the tissues around the tooth start bleeding, and the only way for the blood to come out is at the gum-line. Any time that a child has an injury to the face that affects the teeth, it is a good idea to go to the dentist to check on the health of the tooth. From what you describe, it sounds like your son’s tooth will be alright. However, the only way to know for sure is to visit a dentist who can examine your son in person and let you know what’s really going on with the tooth. I hope that helps. Let me know if you have any other questions, Amanda. Thanks for your comment! My 9-year-old has had a purple/red color to a baby tooth that is loose. It has been this way for a few weeks. Yesterday, she said she can feel a “hole” on that tooth with her tongue and she can taste blood. Is this common? We are going to see the dentist tomorrow, but I found your website and was curious to get your perspective. 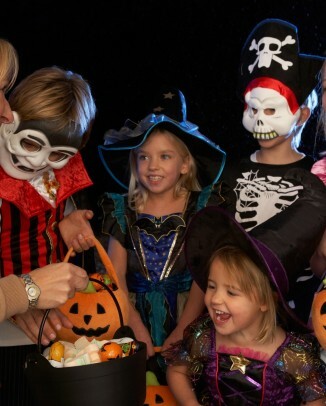 Hi Candi – Did the tooth have a cavity in it or did it ever have any trauma? It could be that the tooth is loose and the hole your daughter is feeling is simply the bottom of the tooth where the root has dissolved now that it is ready to come out. I’m not exactly sure what it is without that information. I hope that helps. Let us know what ends up happening at the dentist’s. Thanks for your comment, Candi! My 2 yr old daughter fell two weeks ago, the gums were slightly bruised. Today I noticed her tooth is slightly darker (grayish). The tooth is not loose but she still has a small bruise on the back of the tooth. Do you think the tooth will get darker? It is not painful for her to eat or brush. Should I be worried? Hi Jh – I really can’t give you a good answer. Any time that a tooth is injured, there is a chance that it will get dark and that the nerve will die. 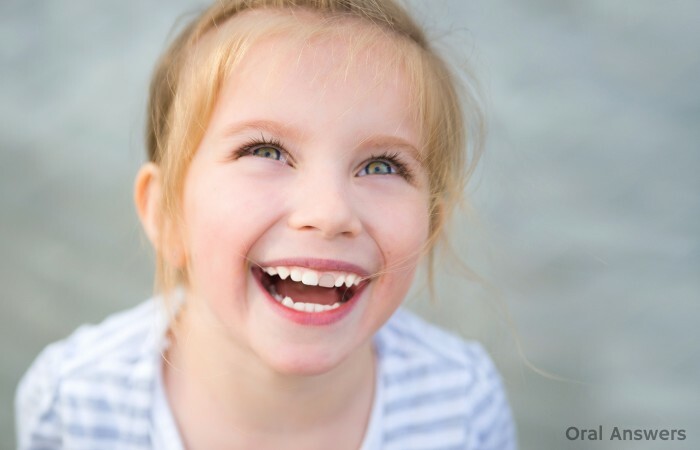 In your daughter’s case, it is possible that the tooth will get darker, but it is also possible that the tooth will heal and become white again. Only time will tell. Your daughter’s dentist will be able to do some tests to find out if the tooth seems like it will heal alright. I hope that helps, Jh. Let me know if you have any other questions. Thanks for your comment! My daughter is 6 and she has her first permanent molar that came in a few weeks ago. I did not pay a lot of attention to it at first, just told her to make sure she brushed it well. She started complaining that it hurt to brush it so I looked at it and it looks gray and hurts when I brush it on the biting surface. What could be wrong with her tooth? Her dentist is out of town this week and I am just an overly worried mom. Any advice is welcomed! Hi Maggie – It may be possible that the tooth was slightly broken through the gums for a while before it came all of the way into her mouth. If so, it may be a cavity. There could also be a defect in how the tooth’s enamel formed. In any case, it’s always a good idea to get it checked out by your daughter’s dentist to find out what’s really going on and how you can fix it. I hope that helps, Maggie. Let me know if you have any other questions. Thanks for your comment! My 8 year old’s permanent teeth are all turning a browinsh yellow color. The only thing we have changed is her daily vitamins from Bluebonnet? I’ve also noticed that she is losing more hair than usual. I have a doctor’s appointment, but wondered if you’ve heard of the teeth changing color due to vitamins? Hi Wendy – I haven’t heard of teeth changing color due to vitamins. Perhaps there is something else going on that is related to the hair loss. Hopefully you get everything figured out. I wish I could be of more help! Let me know if you have any other questions. Thanks for your comment, Wendy! My 3 year-olds front teeth (both) went dark grey 3-weeks after a face plant into the concrete in april, then they turned pink. Now they are half grey near the gums, fading to white at the tips. Dentist said leave it alone unless the gums start to swell. Will they ever go white again? 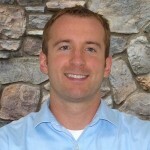 Hi Joe – Sometimes the teeth can return to health and the discoloration will improve. It’s really hard to tell what will happen – sometimes the discoloration will go away or it may stay until the tooth finally falls out and the permanent one comes in. I hope that helps. Let me know if you have any other questions. Thanks for your comment, Joe! My 2 year old son had a fall and hit his front tooth about 5 months ago, 2 weeks after the tooth went slightly grey. We took him to the dentist who just said to keep an eye on it. Over the last couple of weeks the tooth has become alot darker, should I be concerned? Also is the tooth likely to become darker still or is there a chance it will become a little lighter in colour? Hi Carla – It could improve, but I wouldn’t bet on it. The fact that it has continually gotten darker makes me think that it may eventually die. It’s hard to tell what will happen with the color in the future. Sometimes these teeth do return to health. If you don’t mind the discoloration, the best thing to do is to follow the advice of your dentist and keep an eye on it to see what happens. I hope that helps. Let me know if you have any other questions. Thanks for your comment, Carla! Thank you so much for your reply. Is there anything that can be done about the colour of my sons tooth? I know its only his baby tooth but I feel so sad when I see his almost black tooth, knowing he is likely to have it for another 5 years. I just wandered if there was anything a dentist could do to make it white again without my son having to have anesthetic? Hi Carla – I’m not sure what a dentist would be able to do without anesthetic. An option may be to place some white filling material over the tooth, but that may not mask the color too well if the tooth is really dark. Your best option would be to go to a pediatric dentist and see if they have any other options for you. I hope everything works out – keep us updated. I hope that helps – Thanks for your comment, Carla. Let me know if you have any other questions. My 7 year old daughter hit her front tooth on the head of a playmate while bouncing on a trampoline. It bled around the gums immediately after and started turning color the next day (I can’t really figure out what color it is, as there are varying shades – brown, grey, purple). Have you ever heard of a tooth changing color so quickly after being hit? The tooth was a little loose already. I would guess it was going to fall out on its own in the next few months. Is there harm in waiting for it to fall out on its own vs. getting it pulled? Hi Melody – Sometimes the teeth do change color very quickly. Since it does involve an injury, it really would be best to have your daughter’s dentist take a look at it and let you know if it needs to come out. When a tooth is traumatized like that, there’s always a possibility that it could get infected, depending on the severity of the injury. Your dentist will be able to make the best decision for your daughter regarding how you should proceed. I wish I could be of more help, Melody. Let me know if you have any other questions. Thanks for your comment! My 9 year old son lost his first tooth a few months ago. His top two front teeth have been loose since then and just last week blood appeared around the gum of one of those teeth and the next day the tooth was a light grey color. The color is actually improving but yesterday he lost the non-grey tooth and it appears the dental pulp is still attached and that he just lost the crown. The tooth/ crown that came out had not a speck of blood on it but instead of the usual gap you expect to see when a tooth has been lost he has what appears to be a tiny red tooth made of tissue, which I’m assuming is the dental pulp. Have you heard of this happening before? I’ve called his dentist to make an appointmnet but hoped to be able to reassure my son in the meantime. Thanks for any information you might have! Hi Sheri – Sorry it’s taken so long to get back to you – I had finals last week! If the teeth were already loose, I am guessing that all that’s probably left of the teeth are the crowns and not very much root (it usually ends up dissolving as the permanent tooth works its way out.) Does it feel like there’s anything hard left where the tooth came out? If it’s all soft, I am betting that it’s just gum tissue and that the permanent tooth is ready to come through. I haven’t heard of that, but I’m lacking in the experience department :-). Your dentist may have see something similar and can let you know what to do. It sounds like both teeth are ready to come out though. I hope that helps – Thanks for your comment! Let me know if you have any other questions, Sheri. Hi Ashika – If there is a permanent tooth underneath it, then it would be a good idea to remove it. If you have a congenitally missing tooth and there is not a permanent tooth under the baby tooth, then I would think that you should keep the baby tooth for as long as it will last in your mouth. I hope that helps – Thanks for your comment, Ashika. Let me know if you have any other questions. Hello Tom. My 21 month old daughter had a bad bang today and hit her two front teeth. The doctor said that the teeth were injured and that we just have to wait and see. Is it possible that even with an injury to the teeth and some gum bleeding, the tooth might not change color at all? Hi Mary – It is possible, everyone’s teeth react in different ways. Sometimes, waiting and watching the tooth is the best way to assess the damage that was done. Hopefully her teeth stay healthy. Good luck! I hope that helps – Thanks for your comment, Mary. Let me know if you have any other questions. Here are photos of my son’s teeth. He’s 2, this just started yesterday. He hasn’t hit his mouth on anything. We were thinking some sort of mineral deficiency? He’s on iron drops for an iron deficiency, and just started Ionic Silver yesterday. Really want to find out why they are turning color! I have healthy teeth and didn’t have cavities until I was 17. His teeth were not like this on Sunday. Hi Nikki – I couldn’t get the link to work to see the pictures. The only thing that comes to mind right now would be that the iron drops are contacting his teeth and discoloring them. I’ve heard of that occurring before, but it should be temporary and go away if the drops are stopped. I hope that helps – Thanks for your comment, Nikki. Let me know if you have any other questions. Hi Tom. I posted on your sharkteeth article in the past weeks and was just browsing around. Same son also had this in the front tooth that fell out normally. He was 3 when he injured it at a birthday party. It looked bruised and gradually over 3 years faded back to white. By the time he lost it, you could barely tell that it had been bruised although the tooth looked terrible–like a cavity from the gum to middle of tooth–for the first year. By the way, this child also has a floating tooth in the roof of his mouth that they are keeping an eye on and I fear most of his teeth are just all kinds of crooked. However, my daughter’s teeth are near perfect(Thank goodness!) She’s 12 and her worst issue is a slight overbite. Hi Heidi – Thanks for sharing your son’s experience. I’m sure it will help calm the fears of some parents who come across this article wondering if there is hope after their child’s tooth has turned dark from an injury. Good luck getting the rest of his teeth straightened out! My 6 year old daughter’s front tooth is coming in slightly discolored (gray). She has had no injuries to her mouth. What could this be. I dont want her growing up with self-conscience issues. If it is permantly discolored can it be fixed? Hi Kat – Most permanent teeth are not as white as the baby teeth, so if it’s a minor discoloration, that could be the reason. Also, certain antibiotics can cause discoloration, such as tetracycline staining. 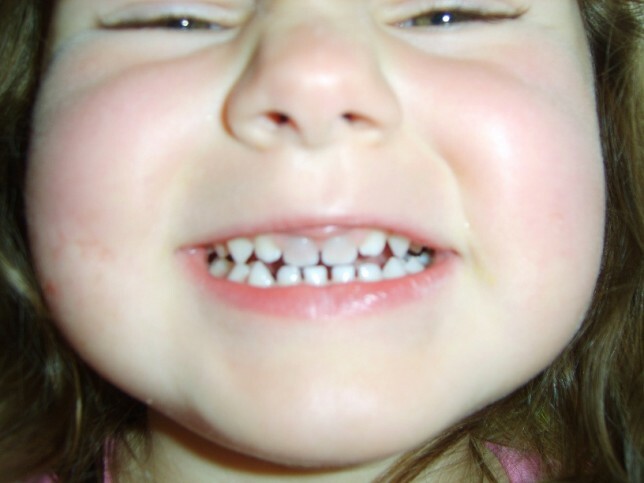 Another possibility is that she fell on something when she was a child and it may have caused damage to the permanent tooth without causing much of a problem with the baby tooth. I hope that helps – I will try to research this more and write a post on it in the future. Thanks for your comment, Kat – Let me know if you have any other questions. Hi Tom..I m 21 year old..at the age of 10 one of my front teeth(lower jaw) got broken…a very little part of it got broken…and from a past 3 weeks the gum of that tooth is getting darkend nd there is a slight movement in the tooth…so i went to a doctor..doctor said me that due to that breakage my tooth got infected nd she adviced to remove the tooth and put a cap taking the support of the next 2 teeth….and if not its going to spread to the next teeth also…. My son’s tooth is every bit as dark as the picture, however his accident (a bike injury) only occurred 9 days ago. Should I be concerned that it has turned dark so quickly? Hi Amber – A loose, purple tooth could mean a lot of things. It’s very likely that there is a problem with the nerve inside of the tooth. An x-ray would be able to help pinpoint the problem. If you live near a dental school, you could try going in there. Many schools will diagnose a problem and give you your treatment options for a small fee. Hi Felicia – I’m not quite sure what they would be. It would be a good idea to call your dentist and speak with them to find out what’s going on. Brushing them for 20-30 minutes usually isn’t a good idea because the abrasives in the toothpaste can start to scrape away your enamel. Hello Tom, Thanks for the very informative article. I have a 3 1/2 year old and she lost 3 of her front top teeth when she fell on a rock in a waterfall on a trek. she had developed an gum infection for her upper gums and was on clindamycin for 2 weeks along with an antibiotic mouthwash two times a day. 3 months after the incident now her lower front teeth ( 6 of them ) have turned yellow. Does that mean that her lower front teeth also were affected in the fall? or is it possibly because of the antibiotic mouthwash? I would really appreciate your opinion. Hi Gabrielle – A dentist will be able to tell you what’s going on with that tooth. If your wisdom teeth were starting to come up, it may have made it harder to clean the back side of the teeth just in front of the wisdom teeth, and could have caused a cavity/damage to them. A dentist will be able to let you know for sure. Good luck! My 7 year old daughter has two new teeth coming in on the bottom and I noticed yesterday that the tops of those two teeth seem to be a bit grey as well as slightly see through. She has never had any sort of injury to her mouth or her teeth. Is this normal or should I be concerned? My daughter (aged 5) became ill the day before yesterday with a cough and a fever which I have put down to a viral infection and am treating normally. Today she declared she had her first wobbly tooth and by the end of the day I have noticed that it is going dark grey. It’s very wobbly and only causing her a little discomfort when she drinks. I am wondering whether her illness could be down to a tooth infection or if it’s normal for a tooth to go black when so close to falling out? So my 7 month old got her first two teeth days apart (bottom centers) and about 1 week after breaking through she tried to crawl and fell into the corner of the wall. It looked as if she hit the side of her face but after waiting it out, there was no bruising or anything. Now about 2 1/2 weeks later the top of these two teeth were suddenly extremely dark gray (like a #2 pencil!). We took her to the doctor and they felt it was trauma. The very next day the gray has cleared up more and more hour after hour. What would cause this to be quick? I thought traumatized teeth didn’t necessarily turn white again for weeks or months? I have a 5yr with hypocalcification on both of her bottom molars. Would it be best to treat them now or keep a close eye on them for several months? She has been seen by her dentist and was informed to treat them now better than later. My toddler smashed his teeth into my nightstand long ago, then his tooth went gray for about 3-4 months, then back to normal. Now, over 6 months later, he has developed a cavity in that same tooth. Are these two often related or is this just our circumstance? By the way, I never had an x-ray done following his episode, I simply looked on the computer and figured that I would just allow his tooth to fall out naturally. I did not, however, think that he would end up with a cavity. My son is 8yrs old and has started wrestling. He always wears a mouth guard when competing but not always when practicing I have notice within the last few days his top front tooth is turning a blue color. Could have tramatized this tooth during a practice? thanks for the info… my 5yr old fell on the curb of the sidewalk and had a big bruise on her upper gum, it went away but over time her front tooth has become slightly gray, as this is her baby tooth dentist said to just keep an eye on it and her permanent tooth should be okay! Tom you are soooo cute!!! I loved your article and it was very informative. My 3 year old son is experiencing a grey tooth after a fall and we see the dentist tomorrow. I’m a nurse and researched everything and then called his pediatric dentist but just seeing your article was by far the best I have come across! Thank you so much! Single young thin attractive mom of one son ; ), lol! Thanks for your article. My three year old son did a faceplant about three weeks ago, and now his two front teeth are turning slightly gray. My question is, how long after does it take for it to turn the color it will be…..a month, two? Since we are three weeks out, just wondering how much more time before I know this will be the worst of it. Also, does the back look worse than the front sometimes? On the back of his tooth it’s way darker than the front, and I am concerned that it means his front will also get that way. Our floor( carpet). After a day of that I saw her two lower jaw teeth has changed colour. She is eating fine and she has been normal. Should I need to take her to the dentist? Would the colour be back to normal again? If so when? I am concerned. Your input is appreciated. You r doing a great Job in maintaining this blog. Thought I would let you know my 3 year old’s teeth are going a very grey/red colour now almost a week after my original post. I’ve updated the photograph so people can see. Again, hope it helps. Hi. I hope your daughter is doing ok now. When my son did what was essentially the same, his tooth stayed gray for maybe 5 or 6 months, then went back to the normal color. I hope this helps out. I hope that yo uhave the same luck. The only issue I ran into following his ‘event’ is that he got a cavity in that tooth. I am still unsure if this is related. I know I was not very concerned with flossing that gray tooth, considering that I assumed it would hurt, so I may be to blame…I hope not though. Thanks Natalie. I have taken her to the dentist who said the teeth have died and the colour is unlikely to change but oddly enough it has. They are now more reddish than grey. As they are not causing her any issues, I too am going to leave them well alone. Ummm… hello, i am twelve. last week or so, I noticed a rather strange light pinkish hue on one of my top molars. I am really scared and I am not sure if it is a cavity. I havn’t hit it on anything, I just noticed it, but it thankfully doesn’t hurt. like… chewing hard food like carrots. My 6 yr old had his two lower front teeth come in, and they were coming in from behind before the baby teeth were loose enough to fall out or pull. Luckily we last minute got them out before the new ones completely came in. But question is, right after they completely came in they were gray. They were never white..ever. I’m freaking out cause I don’t want all of his adult teeth to be this way. One even has a cream line through it. I don’t know if thats from hitting one of the baby teeth when coming in. But my real concern is the gray. He’s always had issues with his baby teeth easily getting gray stains on them. But this is definitely different. They came in like this. And are a few shades darker than all his other teeth. Hi. I posted this question many months ago, but never got any reply. Regardless, my son was startled in his sleep one night and in turn ended up throwing his head up and directly back down into a night stand. The tooth marks in that table are quite deep and his tooth went gray for a few months, then returned to a nearly normal color. However, now he has a cavity in that same tooth. I am not sure if the two are related but it seems likely…. if you consider that part of the root had probably been damaged where the current cavity lies. Is this a realistic theory? He will be 6 in about 6 months, so I am not inclined to do anything now, plus, the cavity is not uncomfortable for him. Any good advise would be appreciated. Thank you. My daughter had both her front teeth discolored. She is six and two permanent teeth have appeared. But she still has her baby teeth, altough most of them are shaky. Does this discoloration mean that her new permanent teeth can also be discolored. I have not witnessed any accidents or tooth trauma, although in the first school week she had a swollen lip and told me she bumped into another kid in the playground. I was not there, so I cannot estimate the kind of injury or bleeding she had. I’m a 17 year old college student and I hit my front tooth one day while playing basketball on campus. The tooth was pulled down at first and bleeding but that night I accidently bit down on it and it got pushed back into place but became loose. Now it is 5 weeks later and there is barely any pain and it is barely loose but a few days ago I noticed my front tooth had a red or pinkish tint to it. My 3 year old granddaughter had trauma to one of her front teeth. It turned gray within about a week. The tooth has been x-rayed twice and so far nothing shows up according to her dentist. I am wondering if there is anything that can be done to conceal this cosmetically (other than a root canal)? I am curious as to why there are so many comments about this but no one has mentioned bonding. Is this an option? Thanks! My 2 1/2 year old fell and hit her tooth. It started turning dark pretty quickly so I took her to the dentist. They took x-rays but could not tell if the tooth was infected so they told us to come back in 6 months, Well it seems like my little one’s tooth is getting lighter!! I thought I was just imagining it, but I went online to see if that was possible and am very excited to learn that it is! My daughter fell when she was 5, slid down a driveway on her face, her front teeth went from pink to gray. I took her immediately to dentist and all follow up apts/reg. cleaning,etc. He keeps saying to wait it out. Her gums were grey, even black for years. they are still a brownish purple color in spots over her front top and bottom teeth. The teeth on the bottom row is mostly just yellow but the top row has white spots, 1 on each tooth on all visible teeth and you can really see how porous the top ones are, eventhough through the years they seem to be looking less porous and almost as if the white spot is getting smaller and moving more towards the botton of her teeth(front top)…. She is 12 now…. Im nervous after reading your posts, do you have any suggestions on how we could correct this? Hi Rebeca, It sounds like the accident she had as a child may have caused some damage to her developing permanent teeth. Over time, these spots where the tooth didn’t form properly may seem to get better because there is calcium in our saliva that can get incorporated into the teeth and help them heal. If it bothers her cosmetically, some tooth-colored filling material can be placed over the white spots to give her teeth a more natural look. I hope that helps. Thanks for your comment, Rebeca! Hello, my son will be 5 May 1st. His top tooth is loose, and there is slight redness at the gumline. He says it does not hurt, yet he is reluctant about me brushing in that area. He said he did not fall and that he was pushing the tooth…who knows. At any rate, I am concerned, of course. I can see that the back of the tooth appears red when I ask him to tip his head back. I believe this all happened earlier this week, which actually coincides when my husband said he had fallen off my bed from not paying attention to what he was doing. Any thoughts are greatly appreciated. My 3 year old daughter had a fall 2 weekas ago, I noticed 10 days after that the tooth started to get darker starting from near the gum and gradually getting darker over the next few days. We have a dentist appointment on wednesday and I’m wondering what to expect and I should ask the dentist about because I really don’t want her to have the tooth pulled but I don’t know what to ask to make sure they have done all proper tests firsts. Thank you for any advice you might be able to give, you’re article has given me a little hope but I’m still concerned. Thanks for this information. 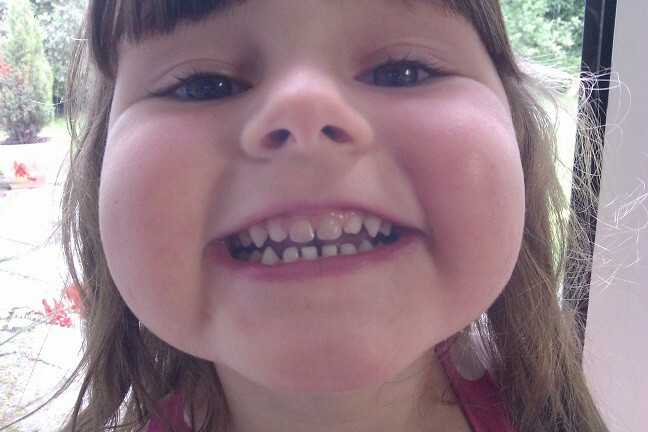 My daughter is almost 5 now but smacked her top front tooth on the coffee table when she was 2. Swollen gums and bleeding but tooth was ok, not even loose. About 18 months later the top half (starting at gum) turned pinkish and bleeds a little from the surface and gumline if she brushes too hard or eats an apple off the core. Tooth also slid up a little into the gum. Dentist has x-rayed and checked it multiple times and assures me it’s fine, just to watch for signs of any abscess or infection. Is this a common occurrence, for the tooth surface to bleed? We call it her ‘boo-boo tooth!’ Thank you. I have a tooth that is badly discolored, yellow, since I was young. All my other teeth are fine but this one is so embarrassing. It is also very sensitive. I tried all kinds of whitening aids and nothing works. Can you tell me the best treatment? I just can’t take another person, usually kids, asking why my tooth is yellow. blog. Any feed-back would be greatly appreciated. Hi There last month my 3 year old fell and bumped her front top tooth. It bled and was very sore for her through out the whole day she couldn’t eat anything because of how sore it was. The next day it felt better and I thought nothing of it. Now her tooth is completely grey and wiggly. I have no insurance so I really don’t want to go to the dentist unless I absolutely need to. My concern is that the adult tooth will grow in damaged. Can a tooth that is loose not fall out for a couple of years or will it fall out soon because its loose?? Any information or advice will be greatly appreciated!!! Hi , my son had an accident a few weeks ago and knocked his 2 front teeth. They have now gone very dark grey. Is it possible to get these whitened ? Hi, About 3 weeks ago my 5yr old son tripped on the linoleum and bumped his face. His mouth bleed for just a minute or so but ha to pain later that night when we were brushing his teeth at bedtime. His routine dentist check and clean was 2 days later, I mentioned the incident at his check up but they said his x-rays looked fine, nothing abnormal, no cavities. Now his tooth is turning colors, looks to be a light grayish color up towards the gum line and the rest of the tooth looks yellowish. If there was damage would have showed at the x-ray? I was kind of disappointed in the visit because the assistant rushed through his cleaning. We are taught to brush are teeth for 2minutes and the cleaning lasted maybe a minute start to finish. Not sure if I should get this tooth checked out by his current dentist’s office or look for a new one first? How did your sons tooth go? did it end up getting lighter? My one-year old bumped his gums during a fall when about 10 months old (he did not have his top teeth yet when the fall occurred), but his top gums bled with the fall. Now his top 2 teeth are coming in and one of them has a yellowish streak (it looks like a vertical line) in the middle of the tooth. Do you think this will go away with time and brushing? Advice? Hi.. My daughter will be 6 years old January 2014.. when she was a baby in her crawler stage she bumped the front of her teeth.. 1 tooth chiped on the side.. the tooth that was chiped turned slightly yellow.. Now at age 51/2 she started to get a gum abscess – she was on atibiotics and the abscess went away… and about a few months later returned – she was put on atibiotics again.. The dentist also x-rayed her and said that I should have two of her from teeth extracted.. I so don’t want to do this.. but he said if I don’t extract the teeth there would be a possibilty that her permanent teeth would be damaged.. Is the tooth nerve dead? and why would it be years later from the time she bumped her tooth that now the teeth have to be removed? Just so confused on what to do – I know she will be so distraught if i go on with the extraction..the dentist said I should not waite and did this right away… any advice? girls who knock her tooth or gum on the coffee table 3 weeks ago.. Her Gum looked liked it was internally bleeding first… then her tooth went a greyish / brown colour but changes each day sometimes its grey and sometimes browner.. I have my fingers crossed it will lighten again, as she is only 3.5yrs old, It has lightened before after knocking the same tooth loose after a fall when she was around 18mths, but I’m really Hoping I have the same luck again, The tip of her tooth looks like its lightening a little.. Does that sound familiar too you? I would appreciate any feedback, It looks as though its been a while since this thread was looked at..
Can a tooth that has turned gray after an accident go back to its original color? My Daughters tooth was quite grey after a fall, and it has since almost returned to a normal colour although its Off white and opaque looking, its only been 7 weeks since she fell, Im hoping it will lighten even more, but if it doesn’t Im quite ok with that… al least its not dark grey, I was really worried when it was!! Yes it can indeed. See the link to what happened to my daughter on my blog with pictures. Hope your little one’s gets back to normal soon. Sorry, the link doesn’t show in the text, you just need to click my name and it will take you there. hers is like an off white colour now, but not grey or black anymore! I actually loved your blog because it gave me hope haha! I wish I knew how to post a photo of my daughters tooth for you all to see the progress im really happy with it.. Thanks Jennifer for your response. My son’s tooth is becoming more gray 🙁 He fell 2 weeks ago and started turning grey after a week and it has gradually continue to change to a darker shade. I am hoping for it to go back as it is also broken in half. I see it and all I can remember is how much it must have hurt him. Does your daughter’s increased in grey shades and then decreased gradually? I am looking to have some hope 😉 thanks and hope she continues to do well. about it , which bothered her. It’s been almost 9 months since the filling and no issues at all. The procedure was quick and pain free and only cost $100. Best money ever spent!!! For the trauma and bruising so we will see.. My kids need mouth guards!! My little guy just had a tumble today and hurt his mouth/front teeth. I’m curious how your applying the arnica and hypericum? I used A Homeopathic Bruising preparation called Arnica, with Hypericum for restoration of the nerve..
My other twin fell quite severely on a sandstone paved area and badly bruised her tooth which 6 weeks later has returned to white again thank Goodness!! I’m really hoping you will get this question. My daughters tooth got injured about 2 months ago. She will be 3 in May. I’m not sure if its too late to try the arnica and hypericum but I’d like to give it a shot. Is it a pill and how much dosage is recommended? Hello, my son Rio had his front tooth knocked out (not a baby tooth). We were able to get the tooth put back in and he has had a root canal. A year later the tooth is starting to has a slight grey tint to it and sees slightly smaller that his other front tooth. His only 10 years old and we really dont want a flipper … what can we do about color and or replacing it. Nothing hurts more than not being able to help your child. I wish it was me instead. Hi Eugene – Many teeth that have root canals do end up discoloring. You can see this post for reasons root canals discolor teeth. 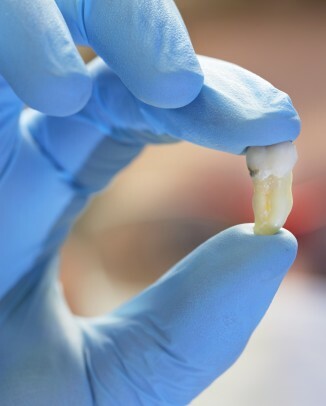 Many times the tooth can be re-entered and a bleaching substance can be placed in the tooth for several days that will lighten the tooth and return it to its natural color. In the future, you could consider doing a crown on the tooth. Let me know if you have any other questions. My 5.5 year old son injured his front top teeth at school. They seemed a little browner at first, but are darkening. One tooth is sore and he is having trouble biting. The dentist said to wait and see. It was unclear from the comments: did anyone else’s child have pain or sensitivity with the darkening? And, if so, did it improve? Awake worrying about my little guy at 3 am on a Tuesday. Sigh. Hi Jennifer – You sound like a normal mom! Did the teeth move at all? Normally, it is not recommended to provide any treatment in this instance unless the pain significantly worsens or he develops swelling or the tooth becomes mobile. If he is in a lot of pain, it would be a good idea to get back in touch with your child’s dentist. I hope that helps. Good luck! Thank you so much for your response! One of the front teeth definitely moved. It’s at a slight angle and there’s a new gap between the front teeth. The bite is not compromised. Two weeks later now it still hurts. I noticed one front tooth (the one that hurts him) has darkened. Mostly gray, but some pink tones. The gums look ok. Should I worry about the pink? He’s eating ok, but not using those front teeth to bite. Thanks again! Hi, I wanted to close the loop and let everyone know my son’s thooth became so mucho lighter I can no longer tell the difference in color. I just only hope the broken part will grow back 😉 but in reality I am really happy with how much it has improved. Thanks a lot for this blog, all of your comments and the sharing of all of your experiences. Thats fantastic news Leika!! what a relief… I love this forum hearing everyones experiences.. the other twin of one that fell and injured her front tooth went back to white as well! Hi Leika – I’m glad his tooth color went back to normal. Thanks for the update! I’m so happy I stumbled upon this website!! I was freaking out. One of my 4 year old son’s front teeth is turning a light shade of gray. He did have an incident in which his mouth was hit, but now he will also randomly cry with his finger in his mouth pointing at it. Do they normally hurt as well? He has no other issues in his mouth and brushes his teeth 3 times a day. I don’t know if this is an inheritable trait, but his father and I have both never had any cavities (knock on wood, haha). Could there be something else going on that I need to make an appointment for? No Problem Celine! Can you let me know how ti all eventuates? I came to this site hunting answers when my dd’s tooth suddenly turned grey. Two days later there was a hole on the back wall, open and bleeding. It turned out to be what the dentist called resorption. The adult teeth were coming in far ahead of schedule so the baby teeth were basically dissolving at the root. We pulled the one and a few weeks later it happened to three other neighboring teeth. No problems in the year since and her adult teeth appear fine. Hello, I have two questions I hope you can help me with. My daughter bumped her tooth when she was 2.5, 1 year ago, and one of her top front teeth is now grey. 1. Her dentist said her permanent tooth should come in normal color, but you posted that if this kind of damage occurs early, before the enamel has formed, the permanent tooth would also be grey. Are you saying this is always the case and her permanent tooth will also be discolored? 2. Are there any good solutions to hide the discoloring until we wait and see what her permanent tooth will look like? E.g., caps for baby teeth, a whitening coat–anything that actually works without being invasive. I am bothered by people’s comments and worried that kids will be mean as she gets older. It’s great to read some info regarding discoloured baby teeth that I can actually understand! My son had a trauma 4 weeks ago and his one front baby tooth had to be pulled as it broke at the top of the root. His other front tooth started turning colour 2 weeks after the initial trauma. Our family dentist has referred us to a pediatric dentist that we will be seeing tomorrow! I’m hopeful after reading your article that the tooth will be healthy enough to keep as the first experience was very traumatic for us both! I would like your opinion though on root canal vs. pulling the tooth. Personally I feel that a root canal on a baby tooth is silly as it’s just going to come out on it’s own but…I’m no dentist so if you could explain the pro’s and con’s to me that would be great. Thought you all would find this interesting! After my granddaughters accident we did have a white filling out on front to cover the darkness to some degree. The filling was perfect and never “popped off” as some dentists are worried about. She had the filling for about 18 months and recently lost the tooth (naturally). When we washed it for the tooth fairy it came completely white. It was the blood inside the tooth that had darkened it!!! Her dentist had X-rayed several times to ensure no damage to the root. Glad it’s over!! I stumbled on your website and wow, am I glad I did! Thank you for the time and effort you put into it. We live in a rural part of East Africa and it’s a 12 hour journey to a good dentist…I’m bookmarking your site. : ) May God bless you! My 6yr old son bumped his tooth 3-4months ago. after about 3weeks it started turning black. naturally, i assumed that since it was his milk tooth; it will fall out. rather few weeks back i realised that the tooth was chipping out in bits rather than coming out completely. To my surprise today, i noticed that he is growing a protuded tooth(infront) on the gum of the fractured tooth. Am worried because a. its not normal; b. he says it doesnt hurt at all. Pls dr. what do u advise. My 5 1/2 to fell two years ago into his front teeth. They were both grayish brown. One fell out about 8 months ago but the second has started to have a pinkish-red color coming down from the gum line. This tooth is only slightly loose now but not sore. There are no bumps on the gum or any signs of infection. We have followed them every 6 months with a dentist, but out next appointment isn’t until December. Is this something that we should have checked sooner? Hi my nearly 21-month-old just banged the left side of his jaw onto a table. There was no direct contact with teeth but there was a bit of blood in his mouth, not sure if from a tooth or biting. Is this the sort of trauma that can cause discolouration? My 4 year old daughter hit her front tooth on a jungle gym at school. We took her to the dentist after that and she said it was a waiting game to see what the tooth did. The gum receded a little on the front tooth and the tooth has now shaded to a light grey. At her 6 month appt, they did another x-ray to see how the tooth was doing. She saw a lot of gray area between the root and the permanent tooth and showed me the difference in the x-rays (between the one right after and 6 months later). She said even though it didn’t hurt her right now it looked like an infection and could develop into an abscess. She suggested removing the tooth. Does this seem normal for an infection to develop 6 months later all while my daughter has no symptoms? My husband is hesitant about having the tooth removed. Hi! I commented several months ago about my 5.5 year old who banged his top front teeth. We were told by one dentist to have them removed, but another told us we could watch and wait. Apparently it can take some time for an infection to develop. About a month after the injury we saw little white pustules high on his gum above one tooth. It had absessed. The dentist scheduled him for removal a few weeks later. One fell out in the meantime. The other was removed with no issues. Good luck to you all! I know how stressful this can be. My daughter damaged her teeth back in July 2012 and they went very grey indeed. However, they pinked up again quite quickly and now, over 2 years later, they still are fine and no sign of a wobble or a lost tooth yet (much to her disappointment). I have put some pictures up onto my post so please feel free to have a look and I hope it gives some of you some reassurance! Would it be too late to give arnica and hypericum 2 months after a tooth injury. Are these pills and what dosage would be good for an almost 3 year old? You will have too get more thorough advice from a homeopath as that was who prescribed the tabs for my little one, although i gave some too a friend the other day her daughter was kicked in the tooth a blunt blow… it started too turn dark when you looked underneath, and she got straight onto it and it returned too white within 3 days!! we were overwhelmed i think the sooner the better though.. Thanks so much for your quick response! I was hoping it would lighten on its own but doesnt seem to be as of yet. I’m really hoping it will help…she went to get checked at the dentist the other day and she kind of seemed like she may want to pull it. It’s not hurting, infected or bothering her at all. I would rather she keep her tooth since she’s so young. I guess it can’t hurt to try….better late then never. Thanks again! Im sure it will… give it at least 6 months they say.. I’m not a dentist so don’t take my advice as being a professional one! ha ha I’m just a mother of 4 kids so we have had about 5 cases of a dark tooth here and they have all lightened back up again… not too a perfect white but as white as you can get! No! 3 time round I used the tabs.. But the other times without tabs the tooth lightened as well..
That dark grey colour is from the Iron in the blood thats on the inside of the tooth.. I found depending on how dark it goes will depend on the healing time.. almost like a blood stain inside the tooth and it has too repair itself.. I don’t know, all research for me points too that anyway.. I know I’m just so full of questions. There’s just been nobody I know that’s been through this with their kids. I’m glad your kids teeth all lightened up. I can only hope my daughters will also. How long before you started to see lightening without the tabs? I did go to a homeopathic person yesterday and they gave me 4 vials of arnica. He said to give her 15-20 tabs 4 times a day…..which sounds like so much? Goodness me. What on earth would you need to pump tablets or vial of liquid into your child for a bumped tooth! I’ve also put some pictures in the post to help you. Within about 2 months of the teeth going grey, they lightened up. I hope that helps to reassure you. Ha Ha I was awaiting a keyboard warrior too respond to this thread, They are a homeopathic preparation which is a very very gentle completely natural remedy too assist with helping the blood flow / capillary too heal, under the constant guidance of a trained homeopath, which worked believe it or not! theres no-one “Pumping vials of tablets or Liquid’ as you would suggest, Do you give you children vitamins? I do its no different really, lol but your input was amusing as much as it was appreciated. Save this argument for mothers that rush their toddler of too the dentist for a root canal under a heavy anaesthetic as I have seen on some forums. If you read my comment it says My daughters tooth lightened 2x without anything.. Theres no pressure or overbearing parent advice here just sharing friendly advice Thanks Krista. I haven’t given her any yet due to the fact that the dosage was sounding quite strange…it makes me nervous. One compared to 15 is quite different. Does anyone know if they all have the same dosages per pill? Krista, I know you said your daughters tooth lightened up on its own after a couple months. Jennifer, how long did it take for your daughters tooth to lighten the times when you didnt give any tabs? Three years ago daughter fell and top tooth came through bottom lip. Two weeks later got extremely dark. Continued extra visits to her dentist to ensure no root damage. Researched for over a year and finally talked pediatric dentist into putting a white filling on top of that tooth to minimize dark color. This looked much better (still dark but much better). At almost five she lost two bottom teeth and finally this one. Rinsed the blood out and it was completely white. Dark color was the dried blood and I do not believe anything would have cleared this up. New tooth now in and perfectly healthy and white! Hi, my 7 year old’s top front baby teeth are loose and one of them is slightly grey. We can’t recall an injury over the past month but it could have been in school and he’s just not telling us about it. In any event, his pediatric dentist isn’t available for a couple of months and I was wondering how urgently I need to take him to see a dentist, especially since the tooth will likely be falling out soon? Thank you. Hi Eva, Has he already lost his bottom two front teeth? If they are loose due to the permanent teeth coming in, there’s normally nothing to worry about. I hope that helps. Have a great evening! Yes, the bottom two front teeth have already fallen out. I didn’t know if I should worry about a dark tooth if it’s going to fall out anyway. It doesn’t necessarily mean the permanent tooth will be grey, right? He has a few loose teeth at this point, not from an injury but because the permanent teeth are ready to come in, as far as I can tell. Hi, my 1.5 yr old fell and cracked his tooth about a couple months ago. But I was told that if he was not complaining and there was no sign of infection then he would be fine to just let it fall out. It has turned slightly grey just a bit though it still doesn’t bother him but should I just wait it out? What would you recommend ? Hi Tom, my daughter is 6, her first permanant tooth came through a month ago (the bottom front one) its white at the top then the rest of the tooth is yellow, any idea why this would be? Slightly worried mum. This was all quite helpful; I appreciate you putting this information out there as a resource out there as well as the Q&A following it. Thanks! My 6yr son has a lose tooth as or yesterday and now tonight it’s a very light gray. He said it hurts but could that be from him playing with it to much and from other people trying to pull it out. I just want to know what I should do about it being gray. The tooth should fall out anytime now it’s very lose. My 6yr son has a lose tooth as of yesterday and now tonight it’s a very light gray. He said it hurts but could that be from him playing with it to much and from other people trying to pull it out. I just want to know what I should do about it being gray. The tooth should fall out anytime now it’s very lose. Hi Tom, I’m an adult with a yellow front tooth that happened like two years ago after a treatment by a dentist when it was swollen (he called it something like “ROOT & ……the treatment). Few months after I noticed the discoloration of the particular tooth. Please what can do to make it back to white? My daughter’s tooth turned pinkish 2 weeks ago and none of us can even think of a time she hurt her tooth. But now it has a hole in it. I noticed this when I was brushing her teeth. The tooth started bleeding from the hole. Is this something I should worry about? It is her baby tooth she has yet to loose any teeth. My daughter had a hard bang on her front tooth when she was 18 mths old. I took her to the dentist at the time and he said it had pushed back slightly into the gum but there was no cause for concern. Since then it has discoloured to a brownish yellow colour with no repercussions. She is now aged 6yrs and is complaining of severe pain in the gum and it is slightly darker than usual but no swelling. Could there be a chance of an absiss? No amount of analgesic is helping at the moment. Her tooth next to it is loose and her permanent tooth is making its way down.. would that have anything to do with the pain in the tooth next to it? My son is two and he fell off of the kitchen chair and hit his teeth on our tile floor. Needless to say, soon after, he complained and cried whenever he ate. We took him to the dentist after about 2 weeks of this and she found an abscess under the gums of his two front teeth. She also told us those two teeth are dead. She advised us to get the teeth removed or, according to her, they can end up becoming infected again or begin to rot until they fall out naturally. I am wondering, does my son really need to get them removed? The idea scares me and I want to make sure we are making the right decision in this! Thank you. Can you get pulpal hyperaemia from having a brace or is it only from trauma to the tooth? Just wanted to let everyone know that my daughter’s first front tooth is through after the trauma she had in 2012 and it’s perfect – colour just like her other teeth. So pleased. I’m glad to hear that – Thanks for the update! I opened the door to the car door not knowing my daughter age 4 was standing behind it. The door hit her in the mouth. Later that day I realized it was loose. I panicked and called the dentist. I kept an eye on it over the weekend. It tightened back up and I thought all was ok. It’s now been months probably 6 months… I’ve been noticing the tooth is starting to turn pink. It’s been getting darker. We are going to the dentist tomorrow but I’m curious to know what you think. We brush a lot 2 minutes am & pm with a timer but she likes sweet things way more than my other kids, could this have anything to do with her sugar intake? I opened the door to the car door not knowing my daughter age 4 was standing behind it. The door hit her in the mouth. Later that day I realized it was loose. I panicked and called the dentist. I kept an eye on it over the weekend. It tightened back up and I thought all was ok. It’s now been months probably 6 months… I’ve been noticing the tooth is starting to turn pink. It’s been getting darker pink. We are going to the dentist tomorrow but I’m curious to know what you think. We brush a lot 2 minutes am & pm with a timer but she likes sweet things way more than my other kids, could this have anything to do with her sugar intake? I am in the same predicament with my just turned 4 year old. about a year ago I noticed on of her front teeth was turning grey. And now, her second front tooth is joining in. I may have to get them extracted. They are slightly loose and she is complaining that it hurts. Same as you, I wondered why it took so long for it to get discolored. I never noticed any redness right after. The only time I can think of is when she was 1 1/2 years old and she was standing on a dining chair and face planted onto the floor, but after a bruised swollen lip, her mouth and teeth were fine. Really useful article. Most of the advice seems to be wait and see if the nerve recovers or if it gets infected. Our 4 year old has a knock on the front two teeth over 6 months ago. Some slight discolouration after a few weeks, hard to tell if it has lightened, but he hasn’t complained of any pain or sensitivity. 2 of his molars haven’t had enough enamel (hypoplasia) and have decayed to the point where our consultant has recommended they are removed under GA. We’ve accepted this, but they also want to take out the front two discoloured teeth “just in case” their nerve gets infected. Do you think it is better to wait and see if the nerve gets infected, or take the teeth out early if possible? It sounds a bit extreme to me, but maybe the infection will complicate things and make it harder to resolve later. Hi Tom, I am glad I came across this article. I was quite worried today. My 10 year old daughter came home from school with a pink tooth and a small chip on the top of her primary molar. This was caused by an elbow in gym class. She is not experiencing any pain so I am just going to keep an eye on it for now. Thank you for this article! 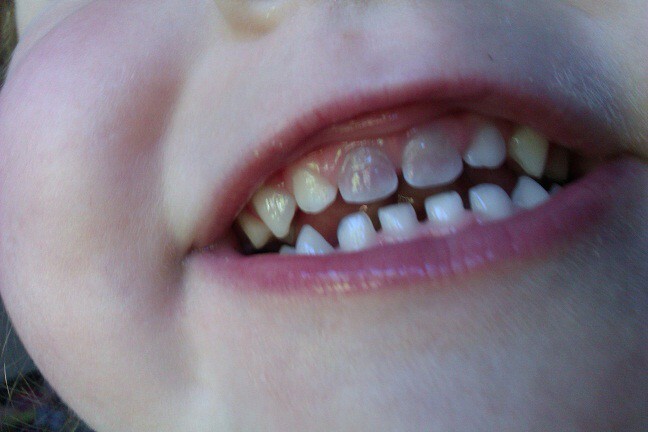 My rough-and-tumble three year old is often knocking herself silly through play, but today we noticed one of her top front teeth was a little pinkish/gray. She faceplanted on a coffee table a couple of weeks ago, and I think that may have been the culprit. I still plan on making a dentist appointment for her soon to make sure the tooth is really okay, but this article definitely calmed me down a bit. Thanks! My daughter is 6 and has lost 6 teeth already and there had been no damage to her baby teeth at all. All 6 of her new teeth came in slightly yellow compared to the white of her baby teeth. On the other hand her 6 yr molars Also also had come in fully last year, age 5, but they are the normal white. What do you think may have caused the yellowing of her other teeth. The dentist says her teeth are perfectly healthy but the color of them worries me a little. Delighted to say that 3 years on from my little girl hitting her teeth, her two new front top teeth are almost totally through and they look amazing. I hope everyone has the same happen for their children and thank you to everyone for your kind comments and views of the post. The latest picture is at the very bottom for you (yes, poor soul still suffers nasty cold sores so sorry about the pic). Hi tom, my son had a trauma to his top right tooth and 3 weeks after turned a shade of grey, now two weeks after the discolouration I noticed half his tooth turned back to white, which gave me hope, then following day (today)back to grey! I’m slightly confused as the dentist told me his tooth had died. Why would this happen? Hi my 3.5yrs old son’s 2 top back molars have come through for over a year now looking slightly grey and he is always agitated from the moment he is a wake till bed time. Sometimes I hear him groaning and banging his head during his sleep. He doesn’t quite know how to articulate that he is in pain but his agitation has been ongoing. I have been to the dentist twice and they don’t seem to think there is a problem but i do. What can I do about this as it is stressing us out and not nice to see him in pain all day long. He has not had any accidents at all but shows discomfort and doesn’t want to chew much. Hi, my 5 year old son fell down and hurt his upper lip, may be one of the front tooth as well, though it did not bleed. I noticed the tooth started turning light grey. He is still on his milk teeth. Is there anything to be worry about or once the permanent tooth comes, it will be fine? I see the color of gum over that tooth is also little darker. Has anyone experienced their child hitting the same tooth twice with good outcome? My DS3 ran into a door and his two front teeth went minorly discoloured then back to white over 2 months. He’s now hit the same tooth again and ended up with a bruised gum. The dentist has said the outcome won’t be as good this time. I’m looking for some positive stories of multiple impacts to the same tooth if anyone has one? Thanks. Here!!! First time hit was pretty bad (gums, blood, bruising), second time he lost half of the same tooth. After a couple of years, color looks almost normal. Still has the same baby tooth and we have to wait a couple of years for adult permanent teeth. Hi!! This morning I noticed my almost 7 yr old boy has a lightly gray tooth (top/front). He has not injured or hurt his teeth. What would this be about or why? I’m worried ? I’m hoping you see this comment. My daughter injured her teeth from a fall that chipped one of her front tooth and moved the other 2 on both sides of said tooth (#61 I think based on her dental notes). The front tooth next to it shifted forward and the other one to it’s right pushed up and slightly back. Her gums bled and I iced her and made sure to really clean and watch for infections. Took her to the dentist and they said to just observe but bring her in if it turns grey. 2 weeks later it turned grey and is getting a bit darker after I first noticed it (tooth #51 next to chipped tooth). I took her in again as advised and they performed an x-ray. Her dentist said the tooth is dead and that she has to perform “endodentric” treatment where they will go inside the tooth and fill it from the inside. They won’t use anesthetics because it’s dead and she shouldn’t feel anything. All this to prevent any future infections. But my question is that if this is even necessary because my daughter tells me she has feeling on that tooth if I put pressure on it (it wiggles just a bit and also she now has a hard time eating corn on the cob). There are no signs of infection and we are very diligent with dental care. We are also in Vietnam and there is a language barrier that’s why I’m so lost. I will take her in for a second opinion. I’d really appreciate your input. Thanks! My daughter is 3. When she was 2 she was running and hit her front tooth on the dining room table. She got up and cried for a second and then went to play again. We watched it and when it turned a lighter color (almost see through) about a week later, we took her to the (pediatric) dentist and they looked at it and said she was fine and that there was nothing to worry about. Said bring her back when she was 4 and that they can establish a dentistry for her. They don’t see kids earlier than 4. Her tooth turned black on the backside (it doesn’t brush off, as we brush every day) and an abscess formed around the top of the tooth yesterday night. We took her to the dentist again today and they said that the tooth is infected and needs to be pulled, (in a month- as this is the soonest she could get in) while under sedation. Why did it turn black on the underside? Why couldn’t this be looked at more seriously before it got to this point? Is this going to cause problems with her adult tooth? Will she have a spacer in place of the missing tooth? Thanks for coming to Oral Answers. My name's Tom and I'm a dentist in rural Virginia. I started this site to help you have a better understanding of dentistry so that you can make informed decisions regarding your dental treatment. If you have any questions, feel free to get in touch with me. Thanks for stopping by! Can You Keep Your ExtractedTeeth? Remco on Can Dental Anesthetic Really Make Your Heart Beat Faster? Pulpitis: What’s the Difference Between Reversible Pulpitis and Irreversible Pulpitis? Colored Braces: What Colors of Braces Can You Get? Tooth Pain and Sinuses: Can A Sinus Infection Cause a Toothache? This site is intended for educational, informative, and entertainment purposes only. It should not replace a visit to a health professional. Only a health professional that is examining you in person, with a patient-doctor relationship can truly understand your unique situation. Click here to read the full disclaimer of Oral Answers. Thanks for stopping by Oral Answers! Did you know that every article has a lively discussion in the comments section? There's no need to even register to leave a comment, although you might want to read the commenting guidelines. Want an icon to show up when you leave a comment? On this gravatar-enabled site, all you have to do is upload your custom icon at Gravatar.com. You can also subscribe to our RSS feed and get updates whenever a new article is posted!